← Where are the black athletes opposing black gangsters murdering black youths? A confrontation at the University of California Riverside by a liberal fanatic demonstrates the degree of insanity, hatred, stupidity, and delusion fostered by Democrats. What they believe based on the ideology into which they have indoctrinated is why Democrats have been rioting, looting, assaulting, and murdering in America’s streets. An analysis of this student’s rant will shed light on the darkness of the Democrat Party and the Left. Who has died because of Trump? Will they blame the deaths of everyone in the world on Donald Trump? Why, because America does not allow every deadbeat on the planet to come to the USA to steal? No one has died because of Donald Trump except for those people who were murdered by leftist terrorists. Obviously she has zero understanding of colonization or ancestry. The sparse population living in America when Europeans came had plenty of room with which to live with others. But many among the two groups would not tolerate each other and went to war. In condemning him for his ancestors she condemns herself because she has the same ancestors. So what gives her a right to stay? This is fascism objecting to freedom of speech. She believes she can say and do anything she wants, but if anyone speaks against her point of view they should be silenced. Freedom of speech does not include destroying property, stealing from others, assaulting speakers, threatening them, or disrupting other people’s lives. And there it is – the Nazi fascist wannabe genocidal maniac. This insane person is a criminal who committed a number of crimes including; Theft, Disturbing the Peace, and being a Public Nuisance. This is why people like her should be ejected, banished from America because they do not abide by our laws, love our country, or live in reality. Liberals believe Trump colluded with Russia to hack the election despite there being zero evidence to even suggest it and less capacity for it to actually be done. They believe leftist scientists truthfully predict the future declaring that climate change is caused by man and will cause the end of the world. They believe Islam is a peaceful religion regardless of the thousands of jihadis throughout the world committing rapes and murders citing as their justification the teachings of Muhammad in the name of Allah. And they believe they can convince people they will be safer if they didn’t have guns when criminals do. When it comes to freedom of speech they fall back on their Nazi roots and want all who speak against them to be exterminated. They cry genocide by free speech when they want to inflict genocide on free speakers. It’s the insanity of stupidity, the immaturity of childishness, the savagery of the leftist, and the backwards thinking of the dysfunctional liberal mind. This entry was posted in Politics and tagged America, Donald Trump, Fascism, Genocidal Maniacs, Insane Liberal Rant, Leftist haters, Liberal delusions, Liberalism, MAGA, Nazism. Bookmark the permalink. 1 Response to What Democrats Actually Believe Proves Liberals are literally INSANE! 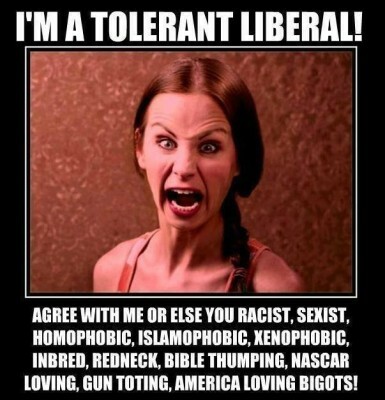 Pingback: What Democrats Actually Believe Proves Liberals are literally INSANE! | Liberals Backwards Think – Shouting from the rooftop. . .